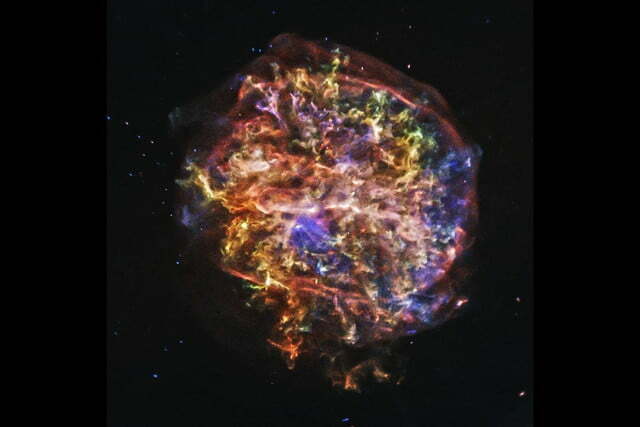 To celebrate the 15th birthday of its Chandra X-ray Observatory, NASA has published four previously unreleased images of supernova remnants. What we see in the images are the debris fields created by massive stars exploding – or, in more scientific terms, going supernova. The Chandra X-ray Observatory was launched into space aboard the Space Shuttle Columbia on July 23, 1999, and has since “helped revolutionize our understanding of the universe,” according to NASA. Unlike its sibling the Hubble Space Telescope, which captures visible light wavelengths, Chandra has been designed to capture X-ray wavelengths, thus granting us a glimpse into the “invisible” realms of outer space. The Chandra Observatory is so sensitive that it can pick up even the faintest signals of the most distant objects in space. Besides photographing supernovae like those pictured in the gallery above, Chandra has also helped observe not only the black hole at the center of our own galaxy, but many more throughout the known universe. 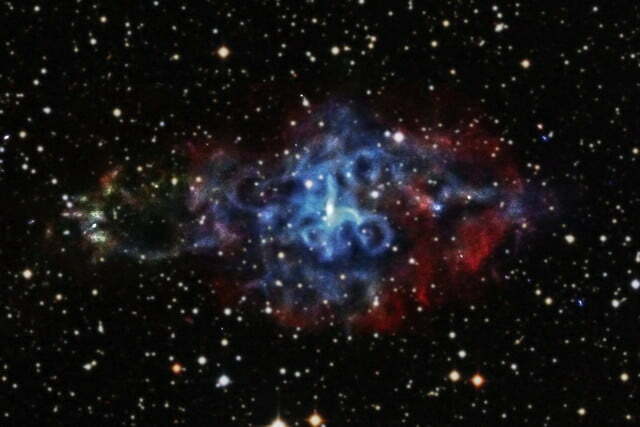 The four newly-released images show the supernova remnants Tycho, G292.0+1.8, 3C58, and the Crab Nebula. Tycho, named after the Danish astronomer Tycho Brahe, who first observed it, consists of two shockwaves created by the supernova, one moving outward and one moving back inward. The supernova with the cryptic name of G292.0+1.8 is an oxygen-rich supernova remnant that contains the heavy elements necessary to form planets and, possibly, life. 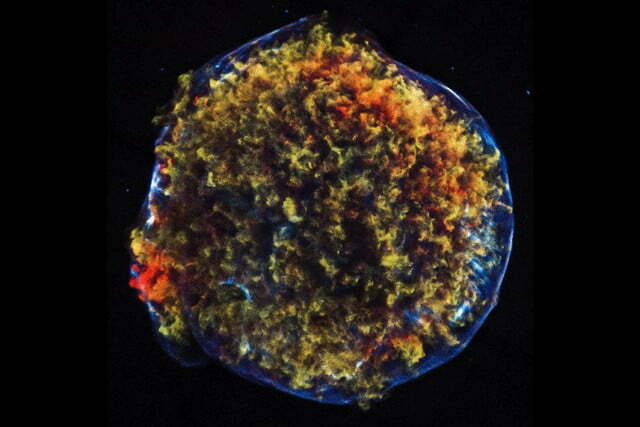 And 3C58, the remnant of a supernova first observed in the late 12th century, consists of a rapidly spinning neutron star surrounded by swirls of X-ray emissions. Finally, the Crab Nebula supernova remnant also contains a neutron star in its center, which is constantly spewing out high-energy particles. 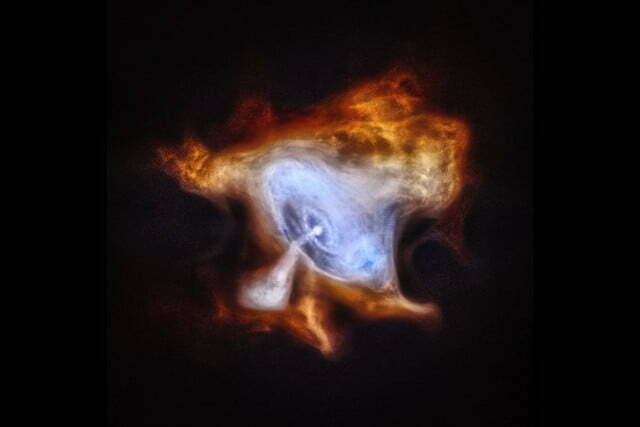 These particles are the source of the expanding nebula around it, pictured in X-ray by the Chandra Observatory. If you’d like to learn more about the Chandra X-ray Observatory, there’s a whole website dedicated to it. There, you can find even more amazing space pictures as well as additional information about Chandra, the Universe, and all the rest.